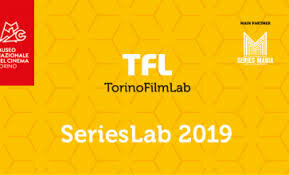 Screen Ireland and Screen Skills Ireland have announced an open masterclasses for Irish professionals as part of the TorinoFilmLab’s Irish workshopping weekend for the third edition of SeriesLab. We will discuss how one could achieve the difficult task of providing the audience with the first episode for an ongoing series, which is required to be clearly expositional in terms of universe and characters, while triggering the main story lines of the season (and beyond! ), and introducing our viewers to the very specific way this story will be serially told to them... All this in the space of an episode that may prove highly enjoyable as itself. The goal, of course, seems rather impossible to fulfill. Yet, some case study might help us not to lose all hope. Since 1990 he has been working as a playwright for several production companies and as a screenwriter, story editor and supervisor for television networks RAI, Mediaset and Sky. At the same time, he writes essays (La rivoluzione seriale, Dino Audino Editore, Roma, 2010), and teaches dramaturgy in Centro Sperimentale di Cinematografia, national school of cinema, and RAI-Script school for screenwriters (endorsed by the Italian national television network). He is a member of the “Associazione 100Autori” board, the most important Italian Guild, which represents several hundred screenwriters and directors. He also works as a script consultant and tutor in TorinoFilmLab’s programme SeriesLab and Serial Eyes Berlin.